The Nigerian Army has declared itself victorious over the Indigenous People of Biafra (IPOB) which was recently declared a terrorist organisation. The Army made the declaration on Friday, September 22 in a statement by Colonel Sagir Musa, the deputy director public relations 82 Division. Despite the initial opposition to Exercise EGWU EKE II by the outlawed Indigenous Peoples of Biafra IPOB members and their sympathizers and unpatriotic elements, the general area of the South East especially Aba in Abia State is now fully stabilized. “The usual violent activities of the outlawed IPOB “National Guards” (manning check points and extorting money from traders and motorists) have now been checkmated. “Similarly, the outlawed IPOB group presence is no longer visible and people go about their normal businesses without fear, let or hindrance. 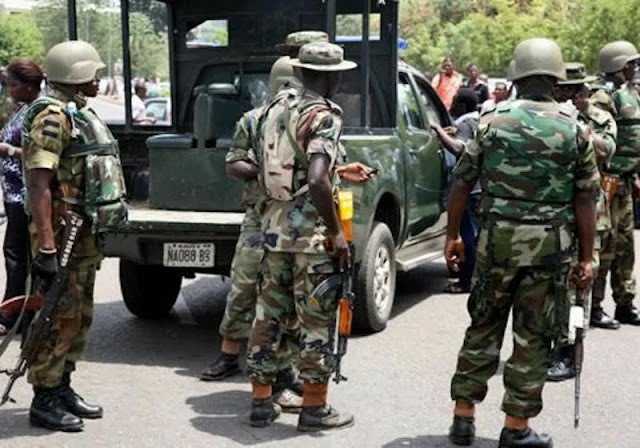 “The 82 Division Nigerian Army wishes to reassure the public that it is poised to maintaining the peace and security in the entire South-Eastern Region. “Members of the public are please requested to cooperate with security agencies by remaining law abiding and passing credible information to the nearest security check point or call 193 and the various Sector Commanders’ telephone numbers that were earlier made public. Premium Times reports that the Army’s declaration followed the conclusion of a one-day tour of the region by the chief of Army staff Tukur Buratai.